Meet our new author — Amanda! My Dreams of Disney is very pleased to announce the addition of a great author to our lineup! Please welcome Amanda, the owner of the website MouzeKateerz.com! Amanda is taking the blogging world by storm, writing for both Chip & Company and the new site that we both contribute to, The Disney Moms. Amanda is a teacher from Alabama, and is a great photographer, so I think that you will really enjoy her monthly incites that she will be sharing with us! Thanks, Amanda, and welcome aboard! One of my favorite rides at all of Walt Disney World, Pirates also has one of the best signs as well! Is there anything about this attraction that you don’t like? If so, please tell me in the comments! Or, better yet, tell me what your favorite part of the attraction is! At the Hollywood & Vine, guests for breakfast and lunch can enjoy a character dining experience called the Disney Junior Play & Dine at the Hollywood & Vine. For only one table service credit, it can be a good way to meet some of the characters that you don’t often find in the parks! 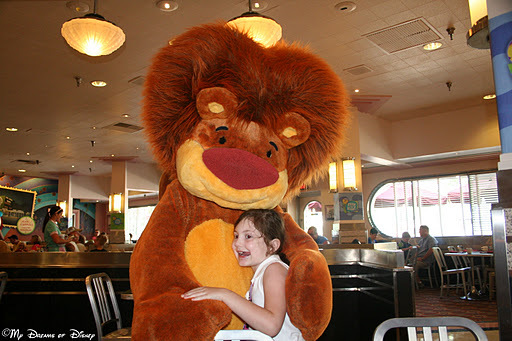 When we took Sophie there for breakfast back in 2008, the characters were from June and Leo from Little Einstein and JoJo and Goliath from JoJo’s Circus. June and Leo are still part of the fun, but the characters from JoJo’s Circus have been replaced with Handy Manny, Special Agent Oso, and Jake the Neverland Pirate! We enjoyed having breakfast at the Hollywood & Vine. The breakfast was a buffet with your standard Disney breakfast fare, but Sophie really enjoyed getting autographs and pictures with the characters, especially June! 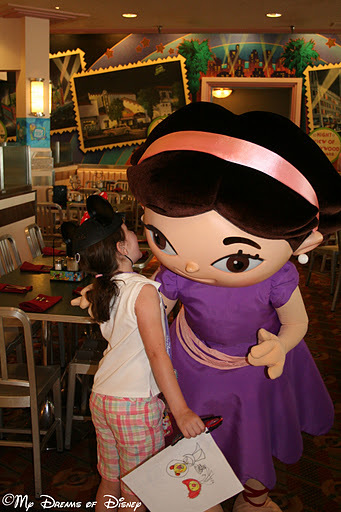 The Play ‘n Dine is a good venue to enjoy some character interaction, and whether you choose to eat here or not is totally dependent on whether or not your children (or you) like the characters being offered. As for us, we don’t need to experience this now, as Sophie has outgrown a lot of the Disney Junior shows, but for you and your children, it may be right up there alley, and shouldn’t be overlooked! If you book your breakfast for the right time, you’ll be able to get into Hollywood Studios before the park opens, and then after you are done eating, get on over for an early ride on Toy Story Mania! I’ll close by sharing some of the pictures that we have of Sophie from here, I hope you enjoy! For character experiences, this is a good one — again, it really depends on which characters you and your children like as to whether or not you choose this one. I’d be surprised if this one was a quick sell-out, but I don’t know have numbers about that. 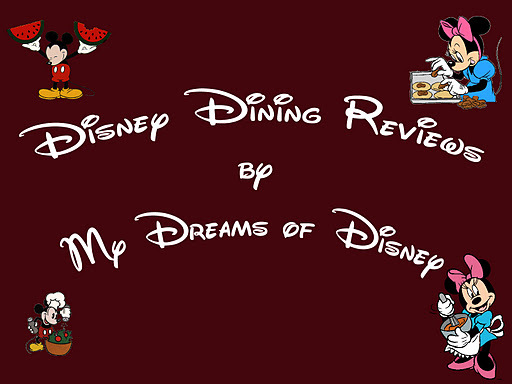 Our last Character dining review will be of one of my favorite restaurants — ‘Ohana. Look for that on January 3rd! Today’s pictures comes to us from the exhibit Walt Disney: One Man’s Dream — one of the most under-rated attractions in all of Walt Disney World, in my opinion. Where would all of us Disney enthusiasts be if Walt had never conceived of the idea that would become Mickey Mouse? Boy, what a changed World that would be! This item can be found in the museum part of the exhibit, if you haven’t been to see One Man’s Dream, do yourself a favor and head on over there the next time you are at Hollywood Studios — you may just wander in thinking you’ll just give it a quick look, but you may find yourself spending quite a bit of time in there by the end of your journey! You may have heard the story — when we were getting ready to check out of Pop Century on Sunday, October 2nd, 2011, we came across this awesome car. Then, as we were getting ready to head out, we met the owner, Gary, and his wife, Ann. After speaking with Gary for a little while, he showed us his mask for the Mickey’s Not So Scary Halloween Party, which you can see here, and which I’ve shown before. Gary was gracious enough to share with me some incredible videos that he recorded of his Halloween Decorations at his house, and has given me permission to share them with you. The detail that he puts into all of this is incredible, and it shows just how much he and his wife love Disney! This first video is called “Hitchhiking Ghosts!” Enjoy! The second video is called “The Grim Organist.” Enjoy! Gary has a YouTube channel as well, so if you want to check out some of the behind-the-scenes work that he has done in getting these displays ready, just click the link. 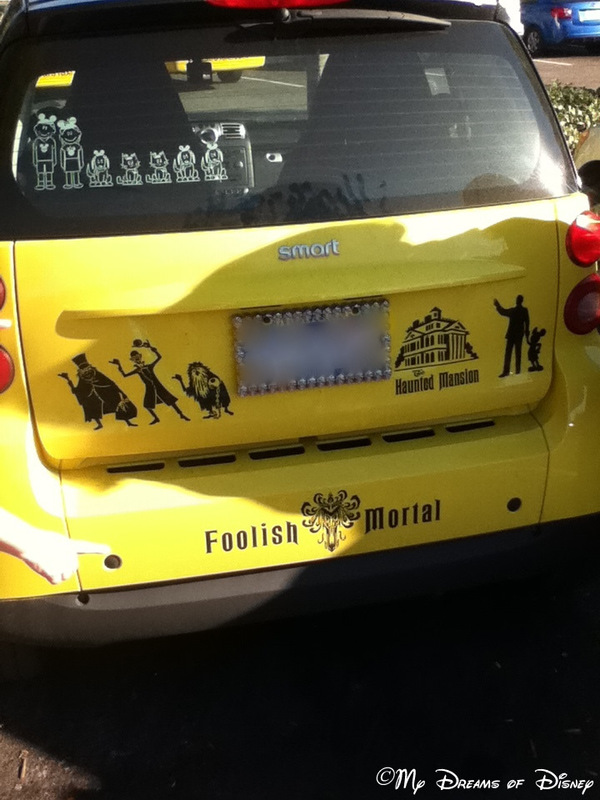 Lastly, in case you were wondering, Gary got the decals for the car the site IMakeNeatStuff. She sells as part of Etsy.com, and in looking at her items, the prices are very reasonable, so if you are interested, go check it out! Gary tells me that he has had the decals for over a year, and that they have even survived Michigan winters! My thanks goes out to Gary for sending me all of these great treasures!